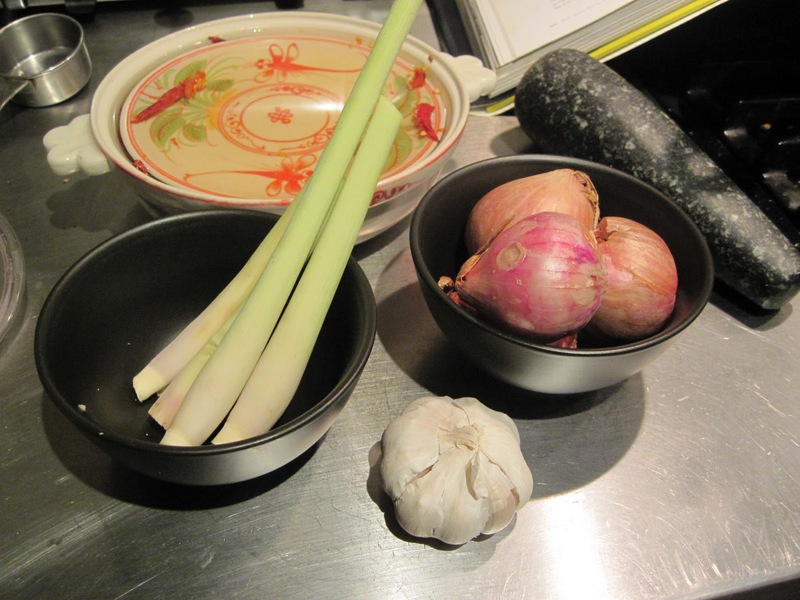 I posted the recipe for this back in January, but it wasn’t until this month that I could get fresh, local lemongrass, coriander with roots still on, garlic and shallots all from the market to make the most local version of this intense, versatile Thai spice paste. 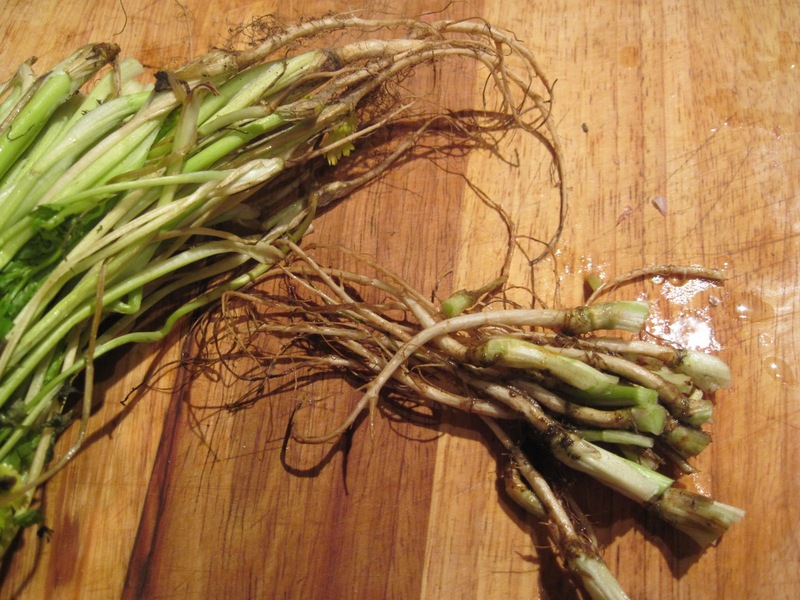 It’s great that local tri-state farmers are growing lemongrass. Love that. 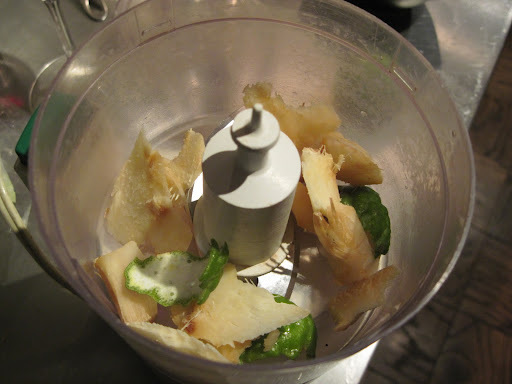 I use a food processor to make mine. If you are a real patient person eager for an authentic experience you can use a mortar and pestle for the entire thing. Good luck with that. You could also use a blender, but I think you get more of an approximation of what the paste would be like if you pounded it in your mortar and pestle when you use a food processor. A blender would make it too fine and it would just look like the stuff you get in a can. At its heart it is a very rustic thing that Thai women (mostly) make in very basic circumstances from recipes that have been passed down to them from their mothers and their mother’s mother. So when you are making the recipe please feel free to adjust. In this batch I was so excited by the coriander roots I added way more than the recipe calls for. I also like to add more cumin and more coriander seeds because I like the depth of flavor and the warmth these spices add to the hot acidic nature of peppers and lime. Also don’t forget that this is a base for curries or sauces so you will have lots of opportunity to add and adjust as you make whatever dish it is you’re going to make. I was trying to get arty with this shot. 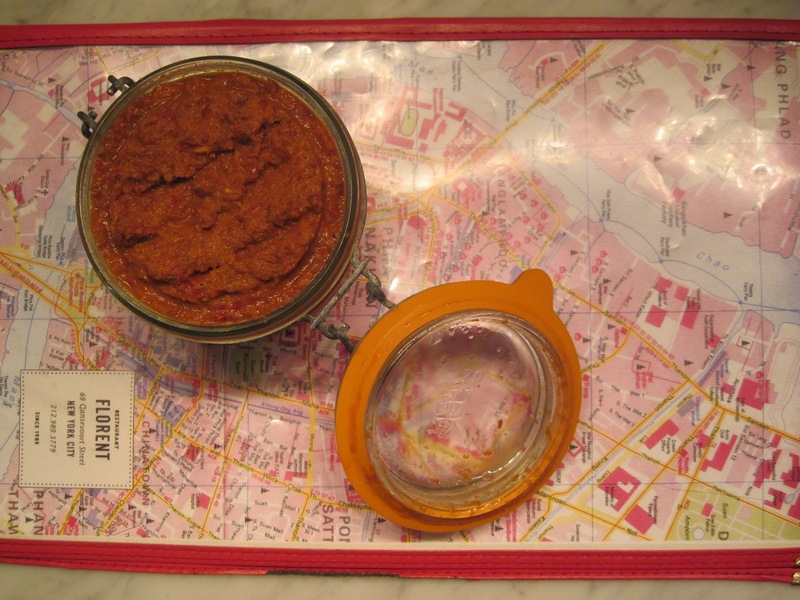 The jar of curry paste is on a map of Bangkok and I thought this morning when I tool it that it was so perfect…. But now after some more coffee I think it’s kind of silly and this one below gives you a better idea of the look and texture of the paste. Depending on how often you use this it will last forever in the fridge. I think I had one batch last a year and it only seemed to get better. Just do yourself a favor and wear gloves when you de-seed all those peppers! 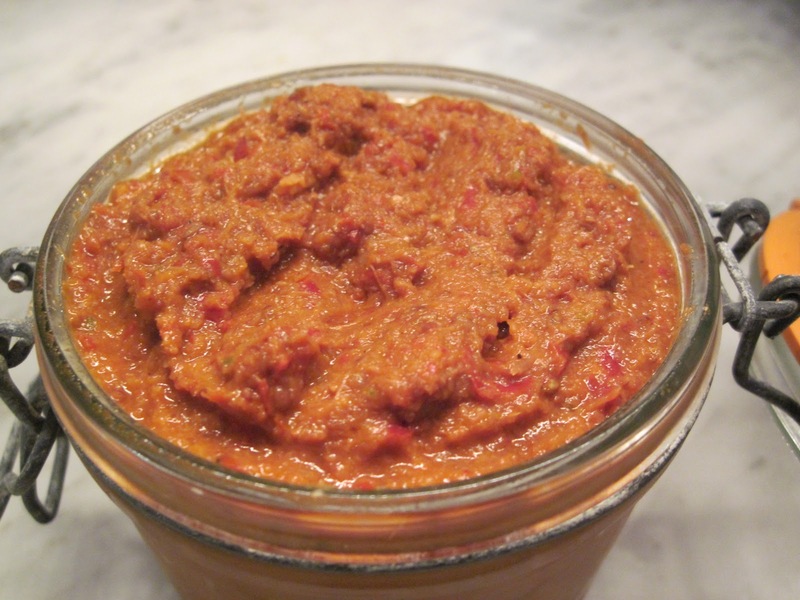 This entry was posted in Recipes and tagged red curry paste, Thai Food. Bookmark the permalink.